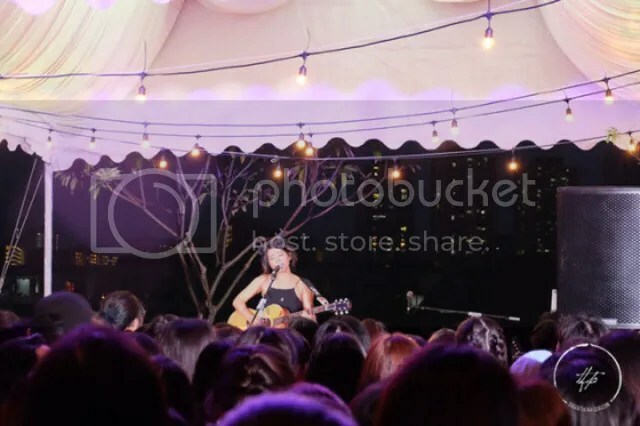 A Rooftop Affair, Serangoon Garden’s only rooftop concert experience, returned after a successful round last year. 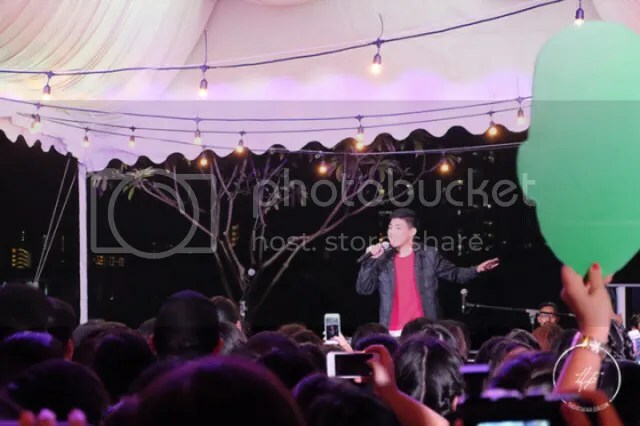 Held once again at the rooftop of myVillage, this year’s even featured performances by local singer Inch Chua, as well as Darren Espanto of The Voice Kids’ Philippines and Greyson Chance. A large crowd had already hours before the event itself, as is evident from this video, as everyone waited eagerly to see their favourite singers in person. Despite the slight drizzle just before the gig, everyone was in high spirits, singing along and engaging with the respective acts. First up was homegrown indie artist, Inch Chua. Having just released her EP Letters To Ubin last year, Inch shared about how she had spent four months living in Pulau Ubin and embracing nature while writing for the EP. Playing a selection of songs off her different albums, as well as a sultry cover of Britney Spear’s Toxic, Inch drew a warm reception from the crowd. Next up was Filipino-Canadian singer Darren Espanto. Darren rose to fame when he joined The Voice Kids in the Philippines back in 2014. He eventually beat out his competitors to clinch the runner-up spot. Now, at the age of 15, he has already accomplished so much including being the youngest artist to have five single records at the age of 12. Darren wowed everyone with his astounding vocals as he performed a cover of Sia’s Chandelier and his very own single 7 Minutes which is featured on his sophomore album, Be With Me. A large portion of the attendees that evening were there for the main act Greyson Chance. Here is a video to jog your memory if his name rings a bell but you cannot quite put a finger on it. 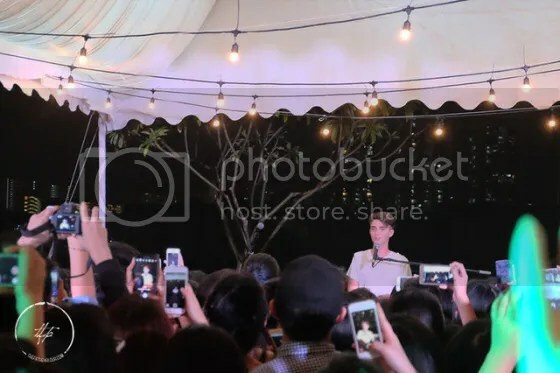 When Greyson finally made his way on stage, he was greeted with thundering screams from his fangirls, many of whom claimed themselves to be ‘Mrs Chance’. It has been four years since he was last in Singapore, and having taken a break from the music scene for a while, Greyson (now 18) was notably a lot taller and his music taking on a more mature sound. Performing an acoustic set with his keyboard, he played a range of songs both from his previous albums as well as from his new EP, Somewhere Over My Head. Hearing the older songs being performed in his now lower tone felt like listening to a new song altogether and it was refreshing. At one point, Greyson even called on Inch to join him on stage for a duet. Before the night ended, the fans had a little something prepared for Greyson. They did a creative twist to the lyrics of Waiting Outside The Line which took Greyson by surprise as he tried to sing along with them. It was a chill evening with great music and we cannot wait to see what is in store next year when A Rooftop Affair returns! The Fifth Parlour would like to thank Universal Music Singapore for the invitation.